Dr. Stephan Jannach joined Spectrum in May 2017. Dr. Jannach completed a postdoctoral fellowship as a Senior Research Assistant and then Assistant Scientist for NIEHS (National Institute of Environmental Health Sciences) Marine and Freshwater Biomedical Science Center. Jannach received his Bachelor of Science in Chemistry from Florida National University in the mid ‘90’s. He then continued his Doctorate of Medicine at the University of Miami School of Medicine. Finally, he completed his residency in Anderson, South Carolina at Anmed Family Health Medicine. Dr. Jannach came to Danville and began working as a Hospitalist at Danville Regional Medical Center before joining Internal Medicine Associates in 2010. As a local physician in the Danville area for 10 years, Dr. Jannach will be treating his patients in the areas of preventative care, health screening and annual physicals. He will also be helping patients to manage diabetes, heart disease, and hypertension. 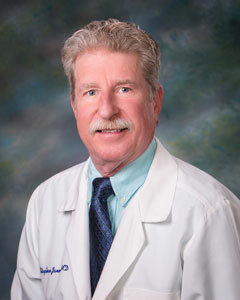 Dr. Jannach will also be performing a number of minor outpatient procedures, joint injections, and acute illnesses. We are proud to have Dr. Jannach and his loyal patients join our practice.